Good quality with Good service and with Good price Northern suburb Working hours: Monday to Friday 9:30am to 5:30pm / Saturday 9:30am to 4:30pm Tel（03）9357 8688 OR Mob 0449 289 555(EASON) EMAIL: LandLkitchens@gmail.com Or visit : Factory 2/23 Lara Way, Campbellfield VIC 3061 And Western Suburb shop: Rstone Pty Ltd Tel-(03) 93117111 OR Mob 0479182119 (RICHIE) Email- Rstonepty@hotmail. Nostra Homes is a leading new home designs and builders in Plumpton. For more Information please call at 03-8331-3500. Whether you are building one of our conventional homes, a townhouse, a custom home or a multi unit development you will receive a standout result each and every time. Nostra Homes specialises in providing custom home build/builders service for our clients in Melbourne, Australia. 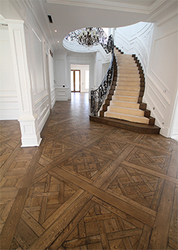 Profile Timber has a large stock of engineered oak floors including American Oak Floors, French Oak Floors, European Oak Floors and Pre Finished Oak in Melbourne. Feel free to contact us to more about our products and we will definitely help! https://www.profiletimber.com.au/gallery/. Finding a deck builders in Melbourne? Then The Pergola & Decking Company is the perfect place for you. We are one of the professional and reliable timber deck builders in Melbourne. Our expert deck builders specialises in the construction of outdoor timber decks. We design and build an elegant deck as per your home and lifestyle. Infinity 3D Printing is 3d printers reseller which provides cheap 3d printer in Melbourne Australia at affordable cost. We also provide affordable and memorable 3d printing services in Melbourne, Australia that provide our clients with a cost effective and quality experience. We have qualified team with years of experience. If you want to style your Bathroom and enhance the overall appearance, then Bathroom Renovation is the perfect option you can opt for. Concept Bathrooms is here to help you with perfect Renovation for your Bathroom. From Idea , Conceptualisation and Design to Execution we supply all in order to completely style your home. Do you have a project planned, in need of some inspiration? An elegant take on the Art Deco tiles trend, Victorian Mosaic Tiling offers full of style and sophistication, taking sheer luxury to the next level. Our collection will inspire your tiling masterpiece. For more information, visit https://www. We are roofing specialist providing roof restoration & roof repairs services near Melbourne areas, all your roofing needs and we can take care of your new guttering installation and colourbond roofing. We specialise in installing roof ventilators can withstand 200 km winds, they help you keep cool in summer and help take out all the moisture in winter. Grange Banks is one of Melbourne’s most well-established commercial painting contractors. We have been the trusted choice for commercial painting at some of Victoria’s most iconic institutions. 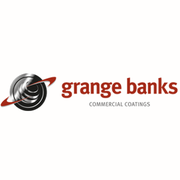 With a comprehensive range of specialised coating and painting services on offer, Grange Banks Commercial Coatings is well equipped to tackle projects of any size and any level of complexity. Looking for a suspended ceilings in Melbourne? ADK Building can design & build high quality suspended ceilings based on your requirements. We install, repair, construct and renovate all types of ceilings, suspended ceilings and outdoor extensions, including installations, ceiling repairs, and carpentry for residential and commercial projects. 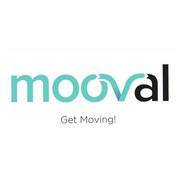 Mooval are a removalist company based in Melbourne with over 35+ years combined experience. We are 100% Aussie owned and operated, completing over 3, 500 moves per year. We have a large fleet of trucks available for all kinds of moves so you’ll be sure to find something that suits your needs.We specialise in commercial and residential removals and also permanent/multidrop runs in our logistics division. Melbourne based company specialising in Permeable/porous paving and associated landscaping projects. Our main customers are private home owners, builders, unit developers and we also do smaller commercial projects for City councils such as tree surrounds. Website: https://www.pebblepave.com.au/ Phone: 04 0543 3221 E mail: info@pebblepave. Famous Frameless is a family business with years of experience. We offer best, reliable and unique Glass Splashbacks in Preston. Our glass splashbacks are durable, low maintenance and stylish. We can assist throughout the entire process with advice, design & colour selection, right through to installation. If you are a housewife, at that point any grout or dirty tiles is a bad dream. So, looking for proficient tiling service in Melbourne? Connect with RC Professional Tiling, Expert tiler in Melbourne will help you with your requirements. We provide professional floor and wall tiling service in Melbourne. Are You Looking For Mosaic Tiles in Australia? Let the different shapes, materials and colours of mosaics and tiles give inspiration to your next project! Victorian Mosaic Tilling provides a range of modern design mosaic tiles across Australia. Take a look at the mosaics' section from our website to get inspired by luxury mosaic tiles designs and break up the monotony. Looking for Kitchen Renovation in Melbourne? Or if you are scheduling to make your Kitchen Renovation, then let ADK Building Pty Ltd make a decision little easier. ADK Building Pty Ltd provides efficient kitchen renovations for the Melbourne area at highly affordable rates. We can redesign your cabinet, flooring, electric fittings and install additional lighting, plumbing, bench tops, splashbacks or other amenities. Your concerns that 'when will I get the service of Bathroom Renovation in Brunswick that ends with Concept Bathrooms! 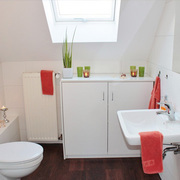 Our team are expert in Bathroom Renovation Whether it’s a simple update to the decor or a complete overhaul of your space, we want to make sure that your bathroom’s transformation is completed and personalised to your every satisfaction. Maintenance is necessary in case of plumbing. 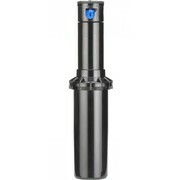 Maintain your plumbing problems with a mind-blowing offer. Get $25 off during any plumbing repair or save up to 10% on booking..
DSdezines Interiors is a leading interior design companies in Melbourne. Our interior designers are best in home decor like interior design & bathroom design. We design residential and commercial property like house & offices. So now you know where to call for your interior designing needs in Melbourne. If you are looking for a Bathroom Waterproofing in Melbourne, look no further than RC Professional Tiling. Our team is dedicated to providing efficient and high-quality solutions for Waterproofing in Melbourne. Our expert team will work with you through every phase of Bathroom Waterproofing process. If you want to get the permit of your building construction and requires a Section J Report, then NRG Efficient Homes is here to help you. NRG efficient Homes is across the country authorised company and also below the ABSA and BDAV body, hence we are committed to providing the most effective possible service and solutions. At Victorian Mosaic Tiling, we pride ourselves on our outstanding customer service as well as help with our old English tile design. Our tiles are incredibly versatile: because the design is created by combining individual tiles of varying shapes, colours and sizes. We are working toward preserving the old style and patterns of the English tiles that are based on the Victorian and Edwardian period. Worry about you burst pipes? Call pulis professional Plumbers, who can save money and water by fixing the leakage problems or by changing the taps or pipes..
For a complete makeover, contact Elite Bathrooms and give your bathroom a boost to make it more modern and comfortable, and increase your home's value. Website: https://elitebathroomscanberra.com.au/ Phone:	04 20670880 Email: shelbymb3@hotmail.com Address: Kaleen ACT 2617 Australia. If you are looking for an outdoor extension to commercial or residential property, then timber decking is the definite choice you can choose. ADK Building Pty Ltd is your specialist in timber decking in Melbourne. With over 30 years of experience in timber decking, we have been delivering exceptional timber decking services throughout Melbourne. Are you looking for the best and most reliable sprinkler system that will keep garden well-watered and in looking fantastic all year round? Look no further than Sunshower Online, Australia's leading landscaping supplies specialists. Call them at 0385551011 today. Visit - https://sunshoweronline.com.au/irrigation/spray-irrigation. Discover a huge range of quality personalised labels. 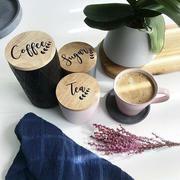 With Pretty Little Designs you can get personalised labels for your water bottle, wine glasses, folder, notepads, diarys, laptops and so much more! Shop from our website: https://prettylittledesigns.com.au/. We are experienced and professional house painters in Cheltenham which specialise in reliable and professional paint services in Cheltenham and deliver it to your satisfaction. Whether you are building a new house or want an old looking house repainted, the professional painters at AllPRo Paint Systems can deliver all paint jobs to you budget and can turnaround all projects quickly, so you don’t have to suffer. We are leading industrial painting company in Melbourne which provide affordable, efficient and truly professional industrial painting services in Melbourne. Our factory painting services are one of the best in Melbourne and we work towards meeting your needs and your paint budget, so you are never disappointed when you hire us for your paint job. Superior Commercial and Industrial Electrical Services. Are you looking for electrical service contractors for your business in Australia? Gea Group offers a variety of commercial electrical services for big and small companies alike. Our highly experienced electrical contractors ensure that your premises are always maintained and compliant. This means your team can operate at maximum efficiency and safety. Home repair services, maintenance services Melbourne ads Melbourne, Home repair services, maintenance services classifieds Melbourne, Home repair services, maintenance services free ads Melbourne, ads for sale Melbourne, ads to buy Melbourne, FREEADSAustralia Page number 3-1. Find here ads for sale, to buy and rent in Melbourne. Goods for sale in Melbourne, vehicles for sale in Melbourne, Melbourne real estate for sale, Melbourne property for sale, property for rent in Melbourne, business ads in Melbourne, Melbourne business classifieds, services in Melbourne, Melbourne services ads, jobs in Melbourne, pets for sale in Melbourne, Melbourne dating, Melbourne cars for sale.